Americans are feeling increasingly stressed out, according to a 2018 survey from Everyday Health. They found that 57 percent of participants polled feel paralyzed by stress. More than half said financial difficulties regularly stress them out, while 35 percent say their job is the primary source of tension. And the bad news gets worse. According to the American Psychological Association, only 37 percent of Americans feel they're successfully managing their stress levels, resulting in negative habits like skipping meals, lying awake at night and overeating or eating unhealthy foods. If you're in dire need of some stress relief, these are best de-stressing techniques you can incorporate into your daily routine. Turns out, laughter really can be the best medicine (for certain things, anyway). A 2003 study published in the journal Alternative Therapies in Health and Medicine found laughter helped participants ease feelings of stress. And a 2008 study from the American Physiological Society found that even anticipating a laugh can decrease stress hormones. While a lot of these studies are small (and isolating variables in an experiment like this can be tricky), a good belly laugh certainly won't make your stress worse. So consider this science's way of telling you it's OK to watch that stupid cat video at work or take a quick break to catch up on some clips from the previous night's late-night TV shows. Rough day at the office? Take some time out for yourself. Schedule a massage, take a long bath or relax in the sauna. According to a 2011 study from Duke University Medical Center, cancer patients who participated in regular massage therapy sessions experienced lower stress levels than those who didn't. The sauna is also a great way to relax and unwind. Aside from the peace and quiet you can find during "you time," the Journal of the American Medical Association reported in 2015 that frequent sauna use was associated with a lower risk of cardiovascular disease-related mortality. Reach out and kiss someone! In a 2008 study of 2,000 couples at Northwestern University's Feinberg School of Medicine, researchers determined that those who kissed spontaneously and often were eight times less likely to experience chronic stress and depression. Even the simple act of saying "I love you" or expressing affection can lower your levels of stress hormones like cortisol and DHEA-S, according to a 2008 Arizona State University study published in Communication Monographs. The finding proved researcher Kory Floyd's "affection exchange theory," which posits that affectionate behavior has made significant contributions to human viability and fertility throughout evolution. Stressed? Stop and smell the rose oil. "Using essential oils in your environment can actually affect the entire body, [improving] mood and reducing stress," says natural health expert Kathy Gruver. The reason? Aromatherapy interacts with the brain's limbic system and hypothalamus, encouraging the release of stress-fighting serotonin — though some experts think it may simply be an emotional placebo. Along with rose oil, lavender and chamomile are also effective agents for releasing stress. Depending on the type of oil, you'll find many options for incorporating your preferred scent into daily life — from drinking teas to using diffusers to wearing them as perfume or in jewelry. Skip the oils and go straight for the real thing! The lavender flower is renowned for its calming effect on the mind and body. "It can calm you down, aid your sleep, reduce anxiety and uplift your mood," says Katie Kyleen Sabbaghian, a spiritual psychologist in Scottsdale, Az. According to a 2018 study conducted by the University of North Florida, being around flowers significantly reduces daily stress. Researchers discovered that one in four women who participated in the study experienced a noticeable boost in mood, energy and compassion by having an element of nature, like flowers, incorporated into their surroundings. Pets are more than great companions, they can also be key agents in helping to soothe your stress. In 2017, researchers at Uppsala University in Sweden announced their findings that humans get a boost of oxytocin (a "happiness hormone") when interacting with and petting dogs. Another 2002 study, published in the journal Psychosomatic Medicine, followed 240 married couples and found that those with pets had significantly lower heart rate and blood pressure levels than those without a furry friend. The conclusion? 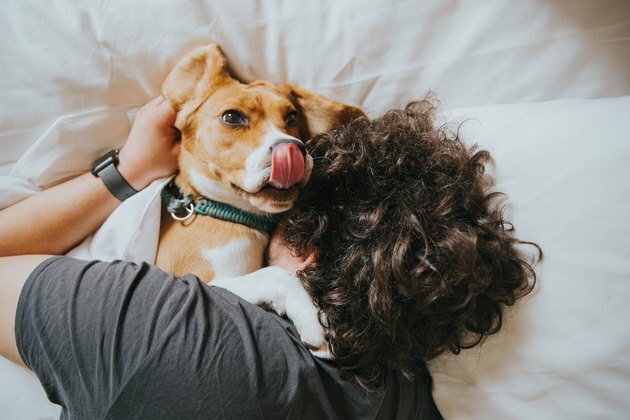 Because people perceive pets as a supportive presence in their lives, the end result has significant cardiovascular and stress-reducing benefits. Man's best friend indeed. Loneliness is bad for your health. A 2011 study from the University of California, Los Angeles revealed that social isolation and loneliness can cause the immune system to change, resulting in higher blood pressure, increased levels of the stress hormone cortisol and disruptive sleep patterns. So get through your tough days with a little help from your friends. Whether that's grabbing a quick cup of coffee with a friends, chatting with a coworker or joining a church or social organization, surrounding yourself with people — especially positive ones — can boost your emotional wellbeing. A 2011 study published in the Indian Journal of Psychological Medicine found that college students dealt with academic stressors better when they had a group of classmates or friends they could rely on. BodyTalk is a holistic therapy system which uses psychology to help promote physical health. "When under stress, talk to your body," says Sabbaghian. "The cells are very connected to your mental and emotional well being. That's why we get nauseous when we are nervous, get a gut feeling when you don't trust someone or shed tears when we are sad." Sabbaghian recommends simply sitting for a few minutes in silence, thanking your body for doing the best it can. "This activity of speaking to your body's intelligence with gratitude can be extremely grounding," she says. Channel your inner Marie Kondo for some spring cleaning. A 2010 study published in Personality and Social Psychology Bulletin found that women who described their homes as cluttered or full of unfinished projects had higher levels of stress than those who described their homes as restful and restorative. So if your desk is piled high with half-finished projects, your home is overrun with dirty laundry or your to-do list is never-ending, take some time and prioritize getting organized. 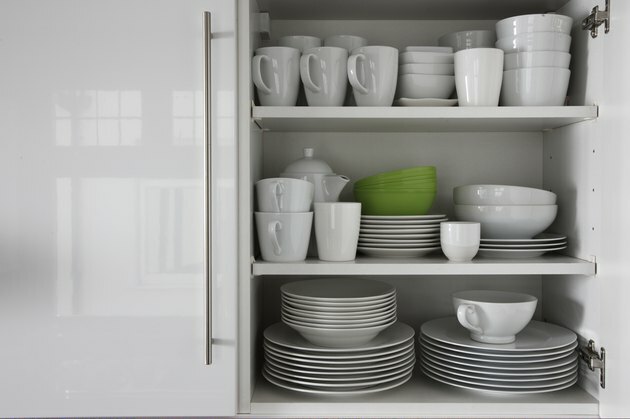 Not everything needs to be perfect, but having a more organized home or work space will help you stay calm and focused. According to a 2016 study conducted at Drexel University, creative activity significantly lessens stress in the body, regardless of artistic experience or talent. Out of 39 adults, 75 percent of the participants displayed lower levels of cortisol after crafting with markers, paper, clay and collage materials for 45 minutes without any instruction. "Journaling, painting, singing and sculpting can be some ways of stepping out of your mind and into the present moment," says Sabbaghian. "It takes you out of the left side of your brain which creates stress and into the right side of your brain." Ever heard of the HALT (Hungry, Angry, Lonely, Tired) model? It's used to illustrate the poor reaction to stress that can result when your basic needs aren't being met — and that's exactly where therapist and counseling educator Diane Lang's Journal of Truth exercise comes in. For one week, her clients keep a record of how much water they drank, what they ate and when and how much sleep and exercise they got. "At the end of the week, it shows why you're stressed and unbalanced — whether it's having large gaps between meals and causing your blood sugar to drop or too much caffeine or sugar," she says. "Keeping this journal shows which basic needs are being met and what changes you need to make." Additionally, writing in a journal, even for just a few minutes, can be very therapeutic and allow you some time to step back from a stressful situation and reflect on why you're feeling so stressed. It's not always possible in the moment, so if you can't break away from a tense conversation, write about it afterwards and reflect on how you can handle similar situations in the future. Too busy for a nap? You may want to reconsider. Even a 10-minute power nap can work wonders. Those who take a brief nap exhibit significantly improved alertness and cognitive performance compared with those who don't nap at all. "People are actually getting the same benefit from a nap as a night of sleep," says Sara Mednick, assistant professor in the Department of Psychology at the University of California, Riverside. Surprisingly, shorter naps actually prove to be more effective than napping for 30 or 90 minutes — lengths of time that may cause grogginess. So go ahead and allow yourself to take that short siesta and consider wearing earplugs and/or an eye mask to truly unplug. 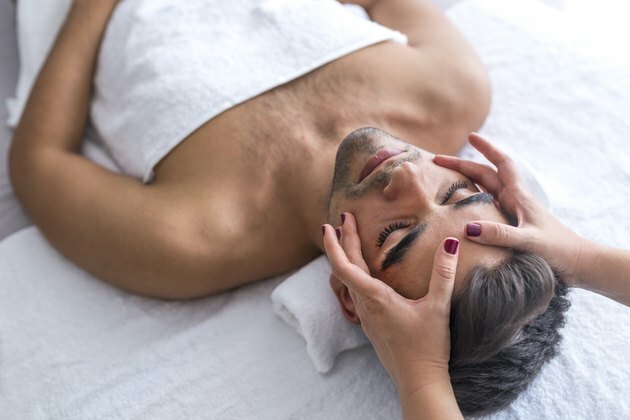 You may be unfamiliar with reiki, gateway healing and reflexology, but these alternative medicine modalities are becoming more mainstream. It may sound a bit out there, but according to certified energy therapist Kristin Borostyan, "when your energy is aligned, your body's reaction to a stressful situation is significantly reduced." One of her go-to moves is dubbed the Hook Up. To do it, place one middle finger between your eyebrows and your other middle finger on your navel. Then gently press each finger inward and upward and hold for 15 to 30 seconds. "You might experience a sigh or a yawn," she says. "This shows that your energies are hooked up properly." If you try this and you don't sigh or yawn, it doesn't mean that the exercise was unsuccessful. If you're desperate to find your Zen but also need to stay on your game to get everything done, a cup of organic matcha tea may be just what the stress doctor ordered. "Not only does matcha make you feel calm and alert at the same time, but it's loaded with antioxidants," says Elizabeth Trattner, integrative and traditional Chinese medicine expert. This powdered green tea contains high levels of L-theanine, an amino acid proved to have both psychological and physiological anti-stress qualities. A 2003 study published in the Journal of Chromatography also found that matcha has three times as much of a potent antioxidant known as EGCG — or epigallocatechin gallate — compared to other types of green tea. Consume matcha hot, cold or even latte-style with coconut milk, Trattner suggests. "Make sure to buy a bamboo whisk called a chasen to prepare it correctly." Get up and get moving to beat your stress. 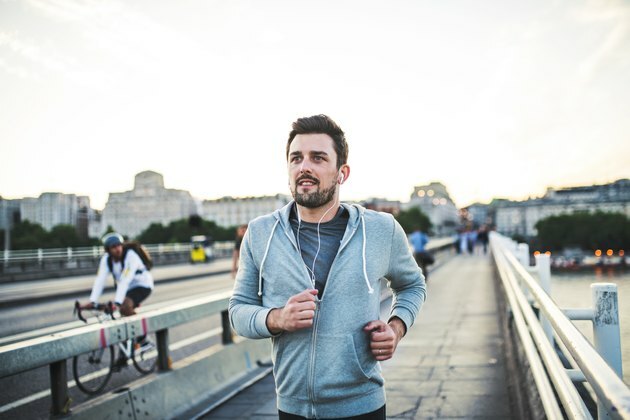 According to the Anxiety and Depression Association of America, regular exercise helps the brain handle stress by releasing neurochemicals to help the body respond more appropriately. There is some evidence to suggest that the release of norepinephrine is responsible for the brain's efficient handling of stress. But other researchers have a much simpler explanation. "Biologically, exercise seems to give the body a chance to practice dealing with stress," says Rod K. Dishman of the University of Georgia. "It forces the body's physiological systems — all of which are involved in the stress response — to communicate much more closely than usual." So the more you exercise, the better your body becomes at communicating about and dealing with stress responses. Between social media, texts, apps and games like Words With Friends and Candy Crush, it's no wonder that smartphones have the potential to stress us out — after all, wielding a smartphone can feel like a full-time job by itself. A 2012 study of more than 100 people by British psychologist Richard Balding showed that the number of times you check your phone daily directly relates to the amount of stress that you feel. Balding also concluded that the stress was more closely associated with personal than professional use of smartphones, stemming from compulsive checking for texts and social media notifications. People have the terrible tendency of holding their breath when they're stressed. But this only compounds the problem. Instead, try practicing deep, diaphragmatic breathing. A 2010 Spanish study found that slow, controlled breathing decreased levels of cortisol (a stress hormone) in both men and women. And a 2006 Indian study found that mental relaxation and slow breathing help lower blood pressure. So when you feel stress start to creep up on you, take a few minutes and breathe deeply. There are a few techniques you can try: Breathe deeply in though your nose, hold and breathe out through your mouth; use a finger to block one nostril and breathe in through one side of your nose and out through the other; or place your hands on your belly and breathe in and out through your nose, paying special attention to how your rib cage expands laterally. If your inner critic's messages are deafening, it may be time to reduce them to a dull roar to save yourself the emotional wear and tear. "The way that we appraise ourselves and our corresponding self-talk impacts how we feel emotionally," says clinical psychologist Christina O'Flaherty. "When we beat ourselves up for mistakes or shortcomings, we are more likely to feel more stressed in the face of a challenge." Instead, O'Flaherty advocates practicing self-compassion, a technique proved to boost happiness and optimism. "Think about times when a close friend is struggling with something and write down what you would say to her to make her feel better," she adds. "Try treating yourself the way you would treat your friend." Your food can directly impact how you handle stress and anxiety. Start your day off strategically with a complex carbohydrate like steel-cut oats. "Complex carbs cause the brain to release serotonin, a neurotransmitter which produces a calming effect on the body," says internal medicine physician Saundra Dalton-Smith, M.D. She adds that you can give your healthy oatmeal an extra boost of crunch and sweetness by adding raisins and sunflower seeds. "Both are rich in B vitamins, which help to reduce stress." Even the simple act of eating breakfast can help you de-stress, according to a 2012 Mindlab study that noted an 89-percent anxiety reduction in those who make time for the morning ritual. But don't stop with breakfast, eating well throughout the day will keep your energy levels up, allowing you to handle stressful situations and make decisions with a clearer head. When you're stressed out, your spine is one of the first places to tense up. So it's only natural that strengthening your spine is essential for ongoing stress relief. "Spine alignment can create a healthier nervous system which can affect the reduction of our stress levels," says Sabbaghian. "Emotional stress also impacts those tight muscles in your neck and shoulders causing your spine to come out of alignment. Chiropractic, massage and cranial sacral work are all great solutions." As the yoga trainer for the Tampa Bay Lightning, Pittsburgh Pirates and Philadelphia Phillies, Dana Santas is accustomed to helping athletes in high-stress situations. Her solution? Strategic yoga poses and breathing techniques. Much of her philosophy mirrors that of a 2012 Harvard study that found holding an open, expansive posture increases testosterone and decreases cortisol levels. One of her favorite techniques to teach is Mountain pose, in which you stand with your feet hip-distance apart, inhale and raise your arms overhead at shoulder width. Once in position, you should take 10 slow, deep breaths, emphasizing your exhalations and counting backward from 10 to one, says Santas. "The combination of being able to take deep breaths and hold an open posture is the perfect recipe for de-stressing," she says. When therapist Neca C. Smith trains corporate clients to reduce workplace stress, she suggests a technique known as thymus tapping. "When stress is present, the immune system shuts down," she says. "Thymus tapping is an energy-medicine technique used to give the immune system a jolt of energy and relieve stress." To practice this, locate your thymus, which is at the top of your chest just below your collarbone, and use your fingers to tap for 20 seconds while slowly breathing in and out. Take it up a notch by tapping a waltz-style beat, a method recommended by holistic physician John Diamond. Meditation is a great way to quiet your mind. If you're a newbie, tuning out the noise from the outside world can be tough, but taking a few minutes each day to turn your focus inward can reap big rewards. "Guided meditation uses mental imagery and visualization to get into a place of relaxation," says Sabbaghian. 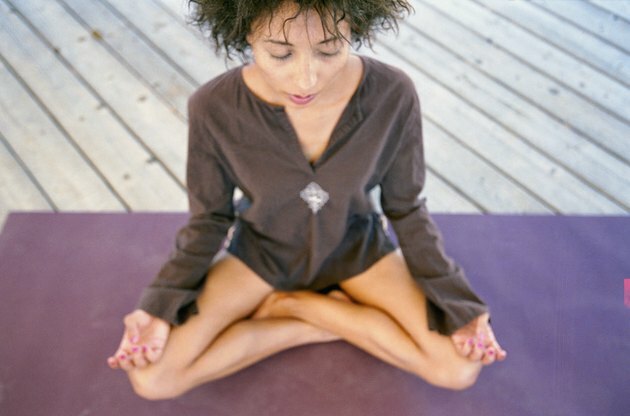 "When you meditate, you clear away the information overload that builds up everyday and contributes to your stress." You can find guided meditations through Deepak Chopra's website, YouTube or in an app like Calm. If the right song can make you stop stressing and sing along, you're not alone. A 2011 study published in the Journal of Advanced Nursing sought to examine the effects of music on those in high-stress professions. It found that those who sat and listened to soothing music of their own selection for 30 minutes had lower perceived stress levels, heart rates and cortisol levels than those who sat quietly for the same length of time. And don't be afraid to listen to sad songs, because they can actually improve your mood, according to a 2013 study by Japanese researchers published in the journal Frontiers in Psychology. When teaching stress management to first responders, police, firefighters and dispatchers, human resources trainer Steve Albrecht uses a simple acronym: BREADS. "It can aid in stress relief and help self-management," he says. Cardiovascular reactivity and the presence of pets, friends, and spouses: the truth about cats and dogs. Effects of mental relaxation and slow breathing in essential hypertension.